The preacher in me hates to admit it, but not all complaining is bad. Sometimes it’s good. Sometimes its even necessary. If you don’t speak up things will never change. Most positive trends begin with complaints about negative trends. So I get it. Sometimes you need to complain. But before you do, take a minute and ask these five questions. 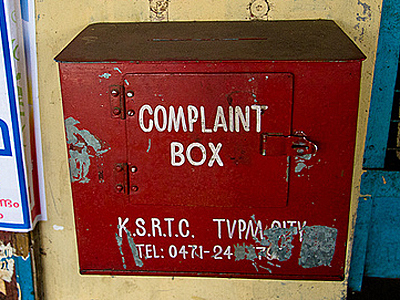 They help us determine whether our complaints are legitimate frustrations or emotional whining. In other words, they help us decide when to speak up and when to shut up. 1. How often do I complain? This is a question of credibility. If every phone call, text and meeting request is a complaint most folks stop listening to you. Or they listen but they quickly dismiss everything you say as “Oh he’s always fussing about something.” So use your capital wisely. If you’re generally supportive and positive about things you’ll get more of an hearing when you speak up about something that’s wrong. 2. How involved am I? Another question of credibility. Am I involved enough to know what I’m talking about? Am I involved enough to have an opinion? A few years ago our church stopped meeting on Wednesday nights. Someone called the office to fuss about the decision. It was passed on to me and my first question was “Did they normally attend Wednesday night services?” Nope. Then they don’t know enough to complain. 3. Am I willing to be involved in the solution? This is a biggest question of credibility. Before you complain ask yourself, “Am I willing to pitch in and be a part of the solution?” If not, save your breath. Don’t speak up if you aren’t willing to step up. 4. Have I taken the time to think it through? This a question of legitimacy. Is the issue I’m upset about an actual issue? Is it true? Is it real? Is it something I should be fired up about or will I see it differently when my emotions settle? Time gives perspective so think about it before you react. You’ll save yourself a lot of future apologies. 5. Have I sought wise counsel? Even with time, emotion can still cloud our judgement. To determine the validity of your complaint you’ll need wise counsel. And don’t ask someone that will just agree with you. Ask someone who’s emotionally distant enough from the issue to give you an objective opinion. You need someone who can help you separate facts from feelings. I don’t always take the time to ask these questions but I usually regret it when I don’t. They help sort out the legitimate complaints from the illegitimate ones. And even when my gripes are legit, they help me figure out whether or not I have enough credibility to say anything about it. I hope they help. Got any questions you would add to list?